I believe in home ownership. It can stabilizer your life and build your wealth. I grew up in Northern California and moved down to Southern California to go to UCLA Film School. After working in and moving on from the entertainment industry I discovered Big Bear. It seemed like a paradise where I could afford to buy a house for me and my 2 rescue dogs. After months of searching I found the house I still love and live in, now with another rescue dog and cat. My purchase experience was unpleasant. I was buying a fixer-upper. I asked a few questions and was lead to believe certain repairs would be done that weren’t. My agent actually told me on closing that she “spent more money on therapy dealing with me than she was going to make in commission on my deal.” Needless to say, with her as my example, I didn’t think very highly of Realtors. It actually made me resist becoming a realtor for quite a while, but in 2008, after working as a loan officer since 2004, I took the plunge, just as the market was tanking. Where others saw desperation, I saw opportunity; buyers had all kinds of affordable options. In 2010 I began working with the people who would create Janszen Enterprises, LLC a now prominent investment group that has rehabbed more than 125 homes in Big Bear. In the past year I stepped into the role of Project Manager for them and have a proven talent for helping with the design and budgeting for residential real estate flips in Big Bear. I have helped many investors find the properties that will make them money. The key is to fix them enough, but not too much. I spend a lot of time learning the best practices of my profession. I am blessed to have a steady flow of buyers to work with and they always help me keep my finger on the pulse of the market. This knowledge, along with my experiences helping sellers prepare their homes, and fixing a few of my own, makes me an incredibly valuable resource to future sellers. With more than two hundred and fifty transactions under my belt, I know how marketing can show you what is happening in the market. I want to get my sellers the most money within the time frame they’re looking to sell and help them do the reasonable things necessary to achieve their goal. 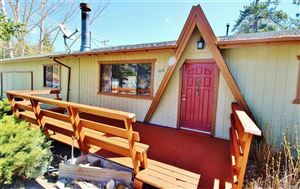 I am not trying to be the biggest realtor in Big Bear. I am looking for a few buyers who will share with me what they’re looking for, accept my help in putting together a superior team of Real Estate Professionals to help them get it with as little stress as possible. And as far as sellers are concerned, I am interested in working with home owners who will work with me to get the absolute most for their property. That’s why I market to hundreds of thousands of agents throughout California and hundred’s of thousands of potential buyers both in Big Bear and all over the country. Many of my competitors are not utilizing the best internet resources in a timely fashion. They’re not utilizing even the basic technologies at our disposals to protect your precious property, and they’re not pricing your property to get everything its worth. If it sold in 3 days or 1 week, was it simply the cheapest home on the market that week? Working with the kind of buyers and sellers I’ve described allows me the time to work with animal rescue organizations, but also affords me enough money to both donate and raise thousands of dollars for those groups. Your referrals have helped multiple organizations re-home hundreds of dogs and cats throughout Southern California and the U.S. So if you’re thinking of buying or selling in Big Bear, give ma a call. 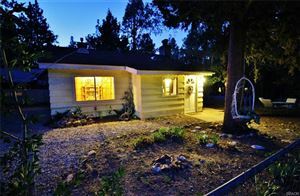 I’d love to show you how to benefit from owning a home or selling a home in Big Bear.